As a physician who may be feeling burnt out or defeated, what options are there? 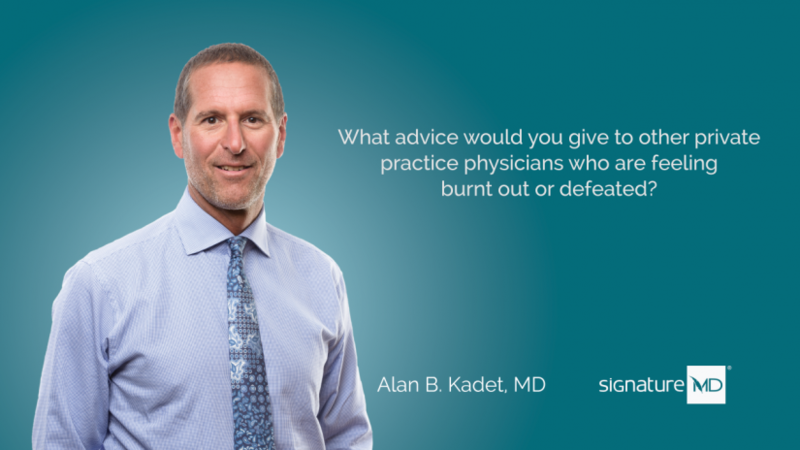 What advice would you give to other private practice physicians who are feeling burnt out or defeated? 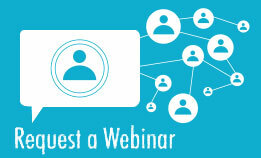 You might also be interested in: What Role Will Concierge Medicine Play in the Future of Healthcare? Your options are somewhat limited right now. I did a lot of research on this. There are few venues left if you want to continue to practice medicine the way you always have. If you are feeling those feelings of frustration and burnout, concierge practice is a great way to go. With concierge medicine, you can spend more time with patients. Patients feel happier and that bounces back towards you. Burnout fades away. 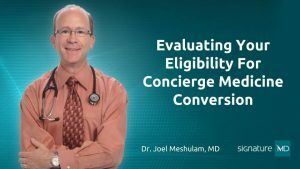 If you’re interested in hearing another SignatureMD affiliated physician’s thoughts on this topic, we encourage you to take a look at our video on the role concierge medicine will play in the future of healthcare with Dr. Joel Meshulam. You may also be interested in learning .